Lincoln Brewster has released “God Of The Impossible” through Integrity Music and all songs are now loaded into WorshipTeam.com “God Of The Impossible” is a recording of some great new songs. Brewster, a senior pastor for the multi-campus Bayside Church near Sacramento, California, says the album is a reminder that “God is always working behind the scenes.” It is a theme that echoes throughout his journey, from a childhood overshadowed by abuse, to a life filled with forgiveness and a ministry that has impacted believers around the world. 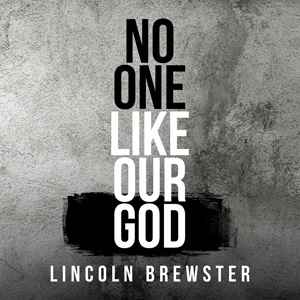 Lincoln Brewster has released “No One Like Our God” through Integrity Music and the song is now loaded into WorshipTeam.com “No One Like Our God” is a recording of a great new song. Celebrated worship leader Lincoln Brewster, known for church and radio favorites like “There Is Power,” “Today Is The Day” and “Let The Praises Ring,” releases his first new music in over three years with the single “No One Like Our God”. The track, which is available to radio and digital platforms, is the first release from Brewster following his critically acclaimed 2014 album Oxygen. “No One Like Our God” is also the first track from a new project – his 10th album – in production and set for release March 2018. Brewster, a senior pastor for Bayside Church near Sacramento, California, penned the song with worship team members Corbin Phillips and Taylor Gall, working with producer Colby Wedgeworth (Colton Dixon, Laura Story, Tenth Avenue North), who will also co-produce the new album. The song are loaded and ready to use- just access your WorshipTeam.com system database. The song are full featured with complete lyrics, chord charts and full length audio. Check out this great new song, hear them in the original key, or choose your own key and play it the way you like it.